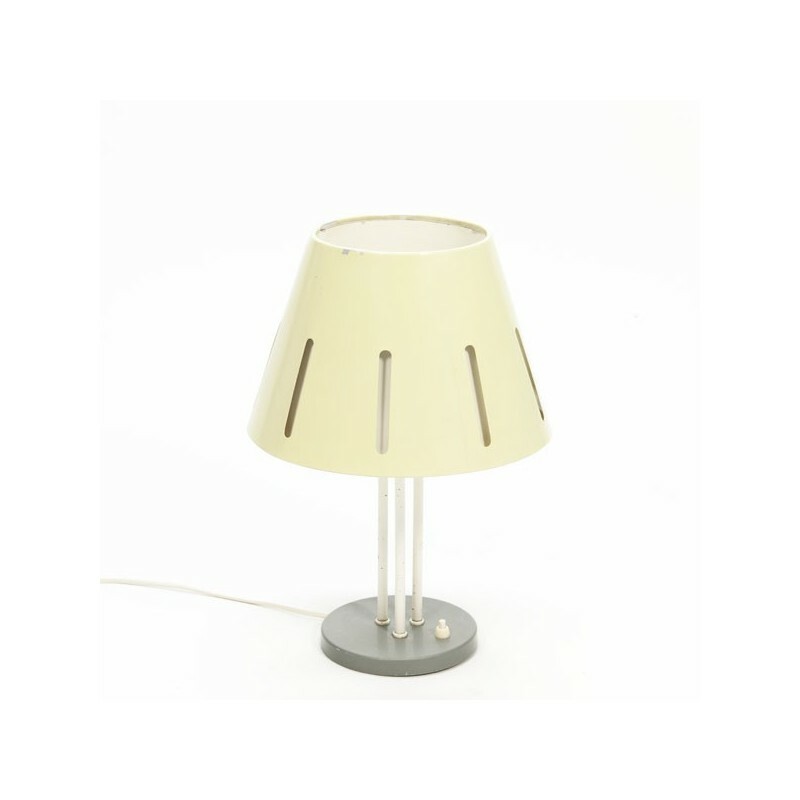 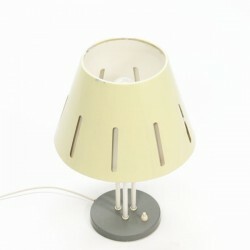 Rare Dutch design table lamp from the fifties of the brand Hala Zeist. 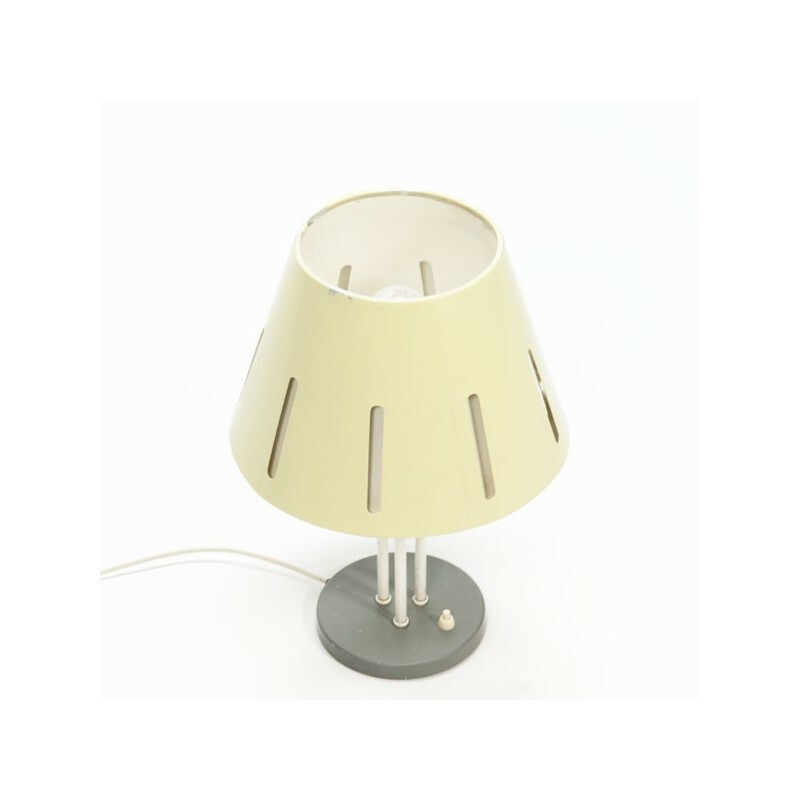 The lamp is designed by H.Th.JABusquet and part of the so called Zonneserie (sunseries) with his typical cap. The condition is good considering the age, but there are a few spots with paint damage visible, see the detail photos. 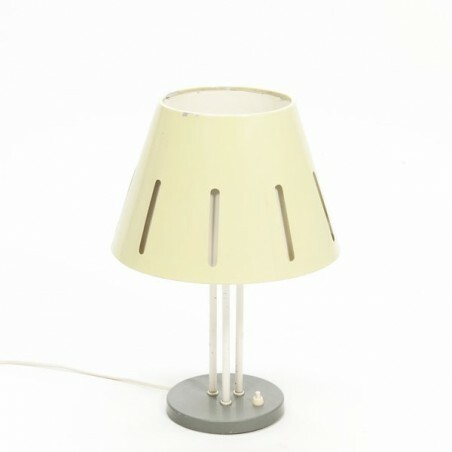 The size is 41 cm high and 29 cm in diameter.